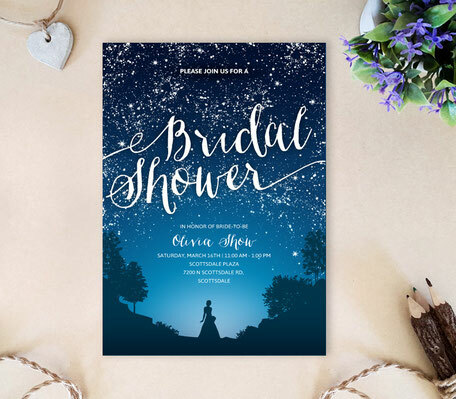 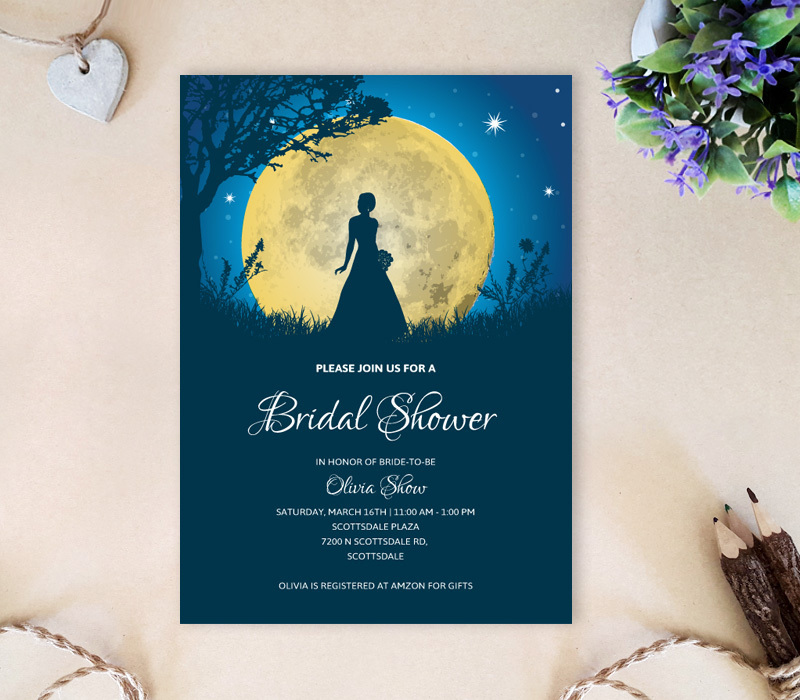 Now that you're having the wedding of your dreams, announce your upcoming bridal party with our Moon Wedding Shower Invitations. Showcasing a lovely bride-to-be, this invitation card displays a stunning natural scene complete with a beautiful full moon. 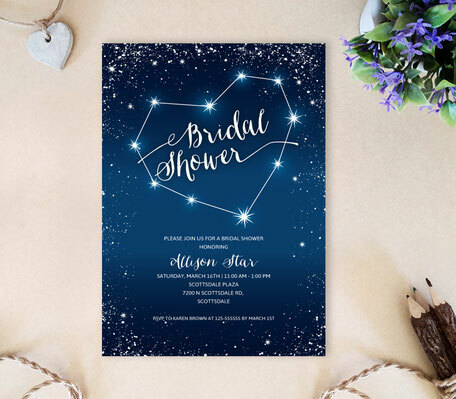 5x7 Bridal shower invitation with envelope.